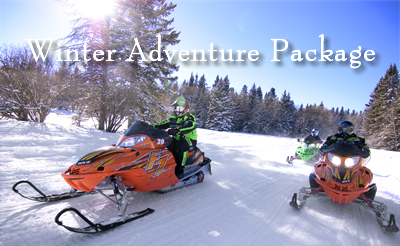 One of our most popular packages is meant for the adventurer in all of us. Love the outdoors and you'll enjoy what this offers. Two nights loding in a Mt Lodge room, a 3-hour guided, double snowmobile ride with Northern Extremes, a sleigh ride at nearby Nestlenook Farms, room refreshments upon arrival, breakfast each day, and a $50 dinner voucher for our own Shovel Handle Pub. Just $510 Per Couple Midweek! Looking for the package that has everything? Experience the beauty of Jackson Village and the White Mountain National Forest. Combine it with the romance of the Inn at Jackson and your significant other will love you for this trip! Package includes two nights lodging in one of our fireplace Victorian rooms, a bouquet of flowers, a one-hour couples massage at Moondance Massage, a $50 dinner voucher to the Shovel Handle Pub, and room refreshments delivered to your room. Just $573 Per Couple Midweek! Please note that all packages are subject to availability and minimums and are not available Christmas or Vacation Week / Weekend! 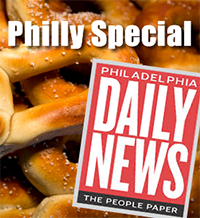 Bring 3 Wawa Soft Pretzels and a Philadelphia Daily News and get 10% off your stay! Call 1-800-289-8600 for more details on these packages or to make a reservation. You may also book packages online by indicating the specific package in the Special Needs section of the online request. Specific room rates are displayed when using the Reservation page.